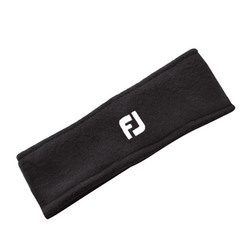 Must have equipment for the cold, the FJ golf headband offers your ears necessary warmth during your winter rounds.FEATURES & BENEFITSSOFT BLACK FLEECE: This warm, lightweight fleece material stores heat so you can focus on the game, not the weather. 100% Acrylic; SOFT BLACK FLEECE ; This warm, lightweight fleece material stores heat so you can focus on the game, not the weather. 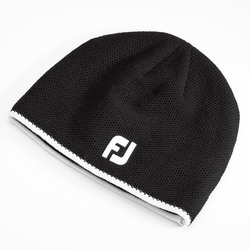 Must have equipment for the rain, the DryJoys golf rain hat offers a sporty look and 100% waterproof protection. 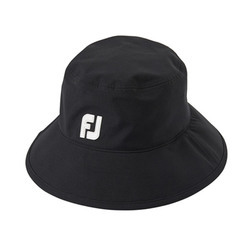 When the weather turns, make sure you have a DryJoys Tour golf bucket hat to accompany your FJ Performance Outerwear. 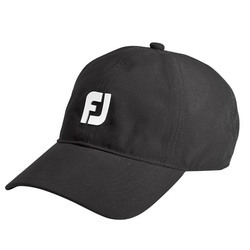 Perform at your best in any weather with golf bucket hats from FootJoy!FEATURES & BENEFITS100% WATERPROOF: Protects against the elements, keeping your head dry. Copyright © 2019 ProGolf Premiums LLC, All rights reserved.